Hi there fellow fit friends! 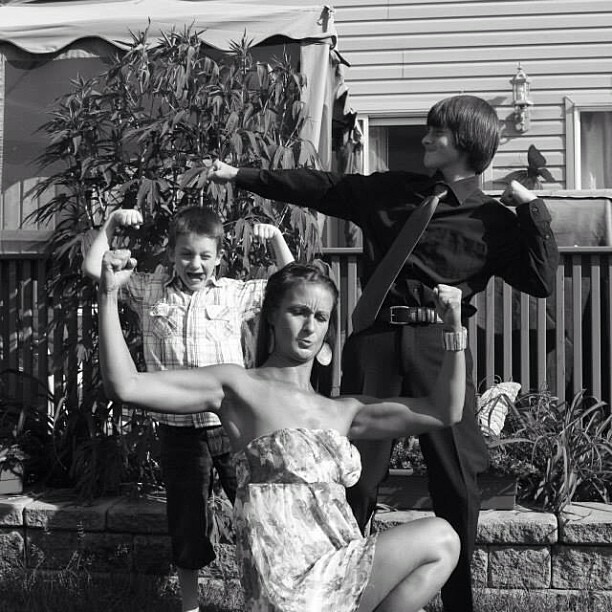 I am a 35 year old mom of two beautiful boys 15 & 8. On the blog they are referred to lovingly as “Big Kid” & “Boo”. I am happy, healthy and a gym nut. My first blog http://www.mamaisfit.wordpress.com started out as a way to document my journey and keep me accountable for my actions. I began my transformation on November 18, 2011. I had just been through an awful breakup and found myself unhappy and very over weight (pushing 200 ls). I had tried over the years to lose weight and been unsuccessful. I would either eat healthy and not go to the gym or go to the gym but eat badly. November 18th I took my life back. I joined Good Life Fitness in Ajax, Ontario and gave myself 1 hour a day. For 1 hour every day I lifted weights, did cardio and worked out. I discovered “me” time. By January 1st 2012 I was down 30 lbs. Since then I have competed in 3 bodybuilding competitions with the UFE. April 2013 in the Bikini Category, June 2013 in Fitness Model and this year in June 2014 I placed 5th in Masters (35+) Bikini Model and 3rd in Masters (35+) Fitness Model making me an Elite UFE athlete. I have a computer programmer diploma, am an IT “Geek”, I have completed my Canadian Securities Councel CSC’s, I hold a life insurance license, have taken courses on 4 types of hair extensions installation technicques and I am a certified personal trainer. All that really means is that I have a love of learning and trying new things. I am a great researcher and try to use the blog to share my experiences, my research as well as my reviews of products that work for me. Not everybody reacts to supplements, training or nutrition in the same way. I like to share clean eating recipes, the occasional rant and workout drivel, so please come along for the ride. 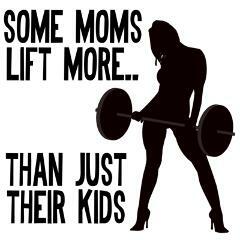 One Fit Mama… cause some mom’s lift more than just their kids.